Most people can at least recognize Ivan Pavlov’s name and associate him with drooling dogs, although he received a Nobel Prize on a completely different topic. I threw that fact in for free! Pavlov’s work on classical conditioning was monumental in helping us understand that things that are learned can be unlearned. However, where many people fall short in their understanding of general psychology is lacking understanding about operant conditioning, or behavioral learning. 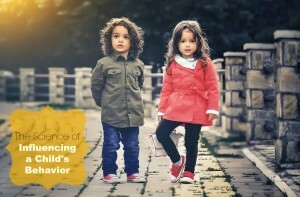 Learning five principles of behavioral learning can make all the difference in knowing how to successfully influence your child’s behavior. These principles won’t make sense if you don’t understand what reinforcement and punishment mean. And you’ve got to know specifically what is reinforcing and punishing for each individual child. Reinforcement can be anything that your child likes, something that is rewarding to the child. Just remember that what is reinforcing to one child may not work for another child. You may have a child who loves reading, and another child who does not. Reading time or a trip to the library is reinforcing to the first child, but not to the second. Punishment means something that your child does not like. For example, most children do not like chores, so chores are punishing for most children. What is punishing to one child may not be punishing to another. Some children may enjoy chores, especially if they find reward in immediate results, for example, visit https://www.bissell.com/vacuums/robotic-vacuums to get an extremely efficient floor cleaner. Children have different dislikes, as well as different likes. You’ve got to find things that are reinforcing and punishing for your specific child. You may even want to ask your child about what is reinforcing to him/her. As you implement these five principles, you will successfully influence your child’s behavior over time. It’s scientifically proven. I’ll give two principles of behavioral learning on how to get your child to do more of what you want him/her to do and then give three principles of behavioral learning on how to get your child to do less of what you don’t want him/her to do. With each principle, I’ll give the name of the principle, an explanation, a diagram, and an example/examples. If a child’s behavior is followed by a positive stimulus – or something that is reinforcing to your child – the child’s subsequent rate, intensity, or duration of the child’s behavior will go up. A child comes and talks with a parent about something hard for him to talk about. The parent says “thanks for coming and talking with me” and comforts the child. The child will be much more likely to come and talk with the parent about difficult topics in the future. A child finishes her homework and does a good job on it. The parent gives her a scoop of ice cream (she loves ice cream). The child will be much more likely to continue to do her homework and do a good job on it in the future. If a child’s behavior is followed by terminating an aversive stimulus – or terminating something that your child does not like – the subsequent rate, intensity, or duration of the child’s behavior will go up. A child does a great job cleaning his chore each day for a week. The parents decide to reinforce the child’s good behavior by giving him a day off from doing his chore. The child will be very likely to do his chores in the future. If a child’s behavior is followed by an aversive stimulus – or something that your child does not like – the subsequent rate, intensity, or duration of the child’s behavior will go down. A child steals a piece of candy from the store. The parent finds out later that day. The parent talks with the child about why stealing is not a good idea, and then has the child go and talk with the store manager to pay for the candy. This child would be much less likely to steal candy again. If a child’s behavior is no longer followed by a previously reinforcing stimulus – something that your child liked – the subsequent rate, intensity, or duration of the child’s behavior will go down. A child has tantrums very frequently, whenever she does not get what she wants from her parents. The mom has usually tried to calm the daughter and eventually caved in to the daughter’s wishes after a period of time. If the mother begins to not give attention to her daughter when she is having a tantrum, she will notice that her daughter’s tantrums go down in frequency. If a child’s behavior is followed by removing a positive stimulus – or taking away something reinforcing for the child – the subsequent rate, intensity, or duration of the child’s behavior will go down. A teenager takes the family car to spend some time with a friend. The teenager comes home a couple of hours later than the agreed upon time. The parents take away the son’s privilege of driving the family car and the keys to the car for a period of time. This teenager will be much more likely to come home on time in the future. Find out what is reinforcing and punishing to your child, specifically, and be creative in implementing these principles. Make sure that the reinforcers and punishers you use are appropriate to your child’s behavior in a given situation. A huge punishment should not be given for a small mistake. Another key for these five principles to work is that you keep your child’s developmental age in mind when you consider the timing of the reinforcers/punishers you give your child. Your child will only learn to do the things you want them to do and to do less of the things you don’t want them to do if they associate their behavior with the reinforcer or punisher. If they do not, these five principles will not work. For example, if your child is a teen, you have a longer time frame in giving him/her a reinforcer/punisher to your child, up to a few days. For example, you could reward him/her for following his/her daily routine throughout the week with a pizza night on Friday, and that will reinforce your teen following his/her daily routine. If your child is a toddler, you only have a few minutes. He/she wouldn’t associate a pizza night on Friday with his/her actions on Monday, let alone the day before. He/she would understand a sticker for a successful trip to the bathroom, given right after the trip. And you could have a larger reward for an accumulation of stickers. The trick is that the toddler needs something that is reinforcing to him/her immediately. These five behavioral principles will help you if you take the time to understand and implement them. 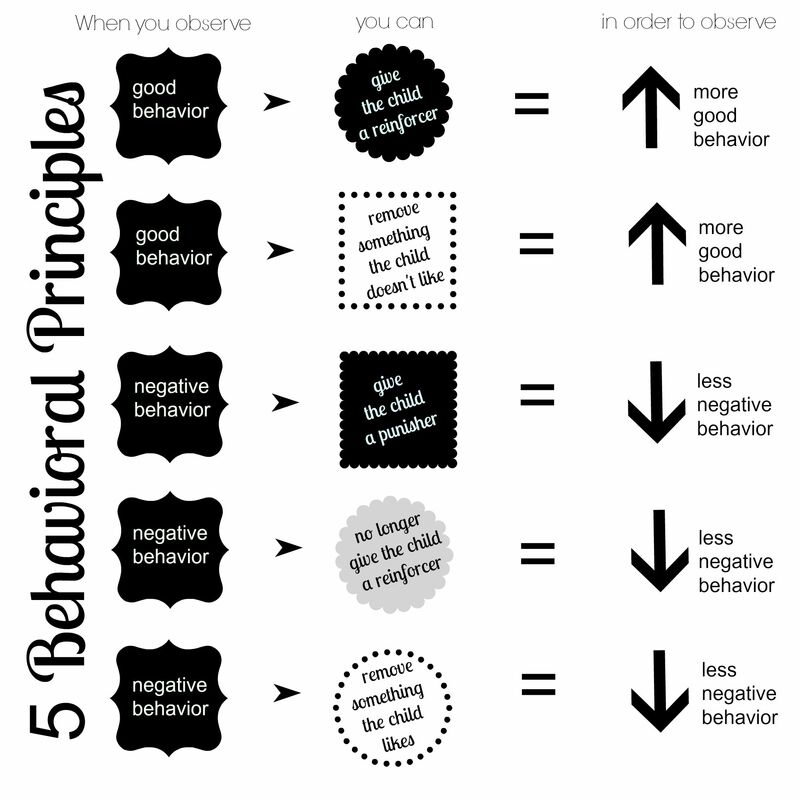 If you have any good examples of how these five behavioral principles have worked for you, post them below! Also, if you would like additional parenting support, schedule an appointment today at Center for Marriage and Family Counseling! Your child may be a miniature version of you – or not! — but children (ages 0-17) are not miniature adults, no matter how much they act or insist to you that they are, and no matter how much they actually believe that they are. 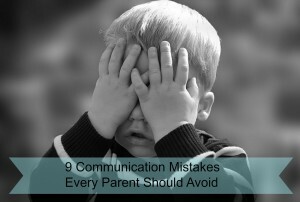 Communication with your child will vary based on their age and stages of functioning; however, all children need you to avoid the following 7 things, in order to grow and develop in a healthy way. Decide if you have control over the stressor in your life. Depending on your answer, there are two different ways that you can cope with your stressor. Use appropriate coping strategies for your situation. If you do have control over the stressor, then you can resolve stress using task-oriented coping strategies. This means that you can do things that will help the situation you are in. 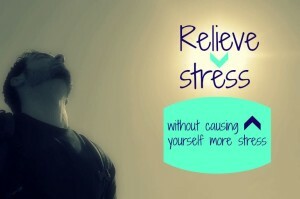 For example, if your stressor is an upcoming project at work that’s very difficult for you, you can relieve your stress by quitting your job (although that is not recommended), you can relieve your stress by scheduling your time, using effective time management, studying and researching information that you lack, or reaching out for help from an expert in your company or the field. As a result of these efforts, your difficult work project will be possible and it won’t stress you out as much. If you do not have control over the stressor in your life, you cannot cope in this same way. For example, if you have a family member pass away (you don’t have control over that situation), you can’t use task-oriented coping strategies. Instead, you can use emotion-focused coping strategies to help you relieve stress. Emotion-focused coping means you cope by dealing with your difficult emotions. Just make sure that you deal with your emotions in a healthy way and don’t tune out your emotions. You can do something that you personally like to do such as listen to music, read an interesting article, or exercise, take time to honor your loved one, take time to take care of yourself, practice self-compassion, and/or talk with a friend. These strategies will ease your mind and help decrease your stress. 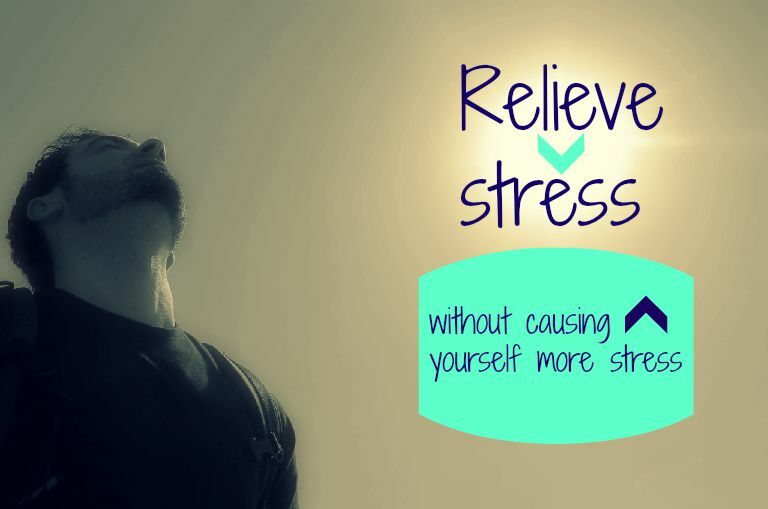 No matter what is causing you stress, you can find relief. 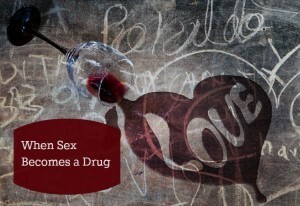 However, there is a possible danger in seeking to relieve your stress. Chris Lowry, Ph.D. of the BYU-Idaho Psychology Department warns, “Most people have a problem when they use emotion-focused coping strategies when they should be task-oriented.” To exemplify this, take the same situation above. Your work project is causing you so much stress because you have a big test coming up. To relieve your stress, you decide to take a few days off of work to go on a shopping trip. Supposing you like to shop, you are temporarily enjoying your time shopping, but you are actually creating more stress for yourself overall. This “stress-relief” actually creates more stress for you as you won’t have enough time to finish your project, or do a good job on it. If you are stressed, follow these two steps and reduce your stress in the right way. You will be happier. If you need help learning how to cope with stress or are faced with a significant stressor, seek help today. Schedule an appointment with one of our compassionate, knowledgeable counselors today! Although I love the sound of that – and the idea behind it, as a counselor, I have to say that those are not cures for everything. I wish they were. Although they certainly help with some problems, human beings are so much more complex than that. But, laughter is undoubtedly important. To be emotionally healthy, you need to experience the full range of human emotions, including happiness. Laughter will help release stress, help you connect with others, and help you feel happy. Learn not to take life too seriously. Laugh at your mistakes. Work toward having an optimistic outlook on life. Find at least one funny thing in your day. Life is full of humorous events, incongruencies, and funny things. Look for at least one funny thing a day. The more you look for funny moments, the more able you will be to find them. Creativity and humor tend to feed off of each other. Take time to be more creative. Read books, go exploring, create things, or plan something that you want to create later. Spend time with children. Children are superbly creative. Be sure to have a collection of funny books, cartoons, jokes, comedian videos, etc. If you don’t have any, start your collection now! Then, refer to your humor library any time you need a laugh. 5. Do something new and outrageous (but be safe!). 6. Improve your self-esteem or sense of self worth. 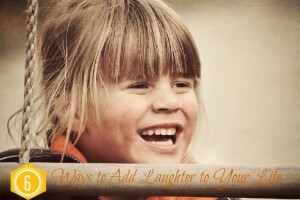 You will feel like laughing much more often if you see yourself in a compassionate, healthy way. If you need to work on your self-compassion, visit Kristen Neff, Ph.D.’s great website www.self-compassion.org or come meet with one of our counselors. 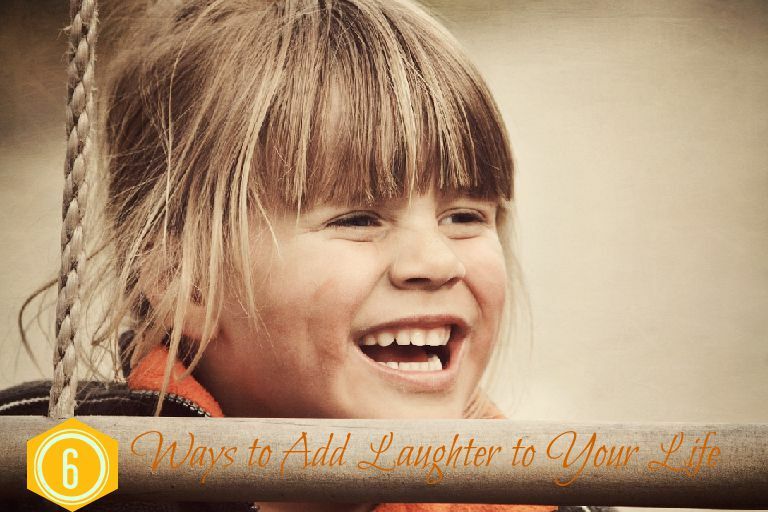 These six ideas will help you laugh more, which will help you be happier in the long run. Try out one of these ideas – or more – today! Caution: Rarely laughing or feeling unhappy can be an indicator that you are not emotionally healthy. If this is the case for you or a loved one, advice to “just buck up and be happy,” “or “just put on a happy face” is unhelpful and ill-advised. If this is the case for you or a loved one, you need some extra support at this time. Schedule a visit with a CMFC counselor today!